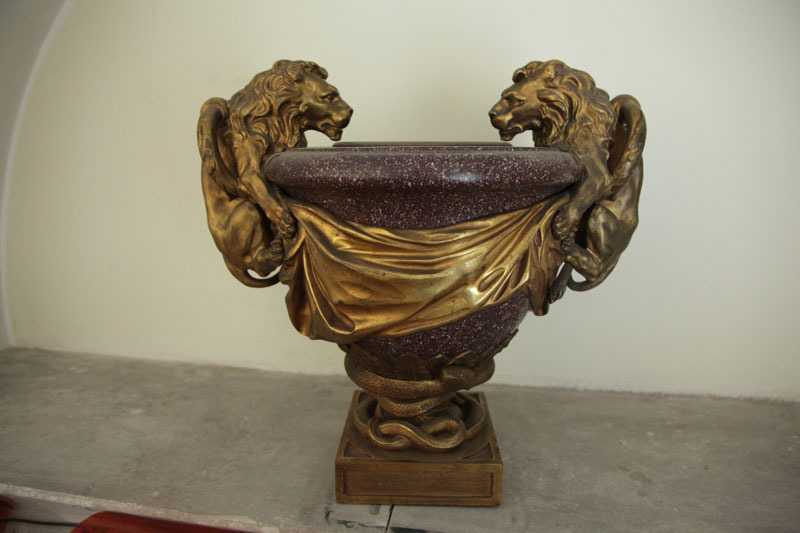 The Royal Palace is decorated with two porphyry vases dating back to the middle of the 18th century, the work of the famous architect of the Parma court Alexandre Petitot. 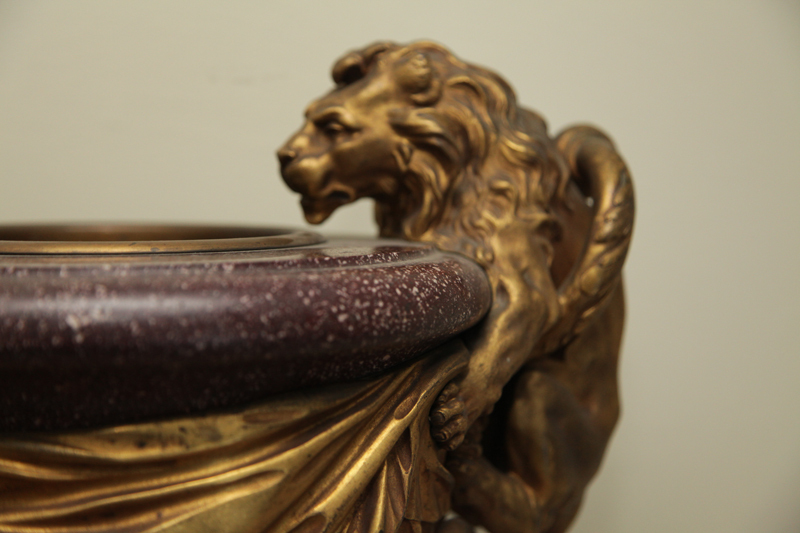 The vases are a representative example of the French applied art neoclassical style that marked the reign of Louis XV. Judging by the design, the vases were most likely intended for decorating the dining area. 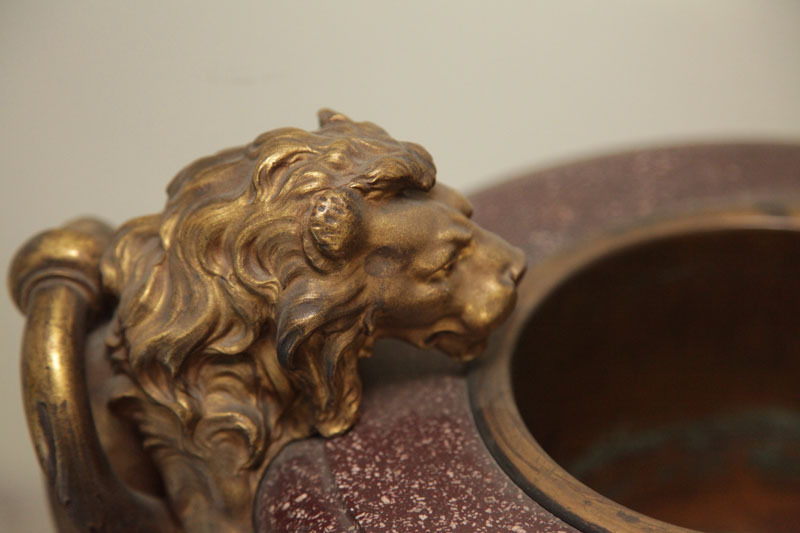 Made in the form of the cups on the stand, covered with gold plated bronze in the form of draperies and with handles modelled in the form of hooped lions. 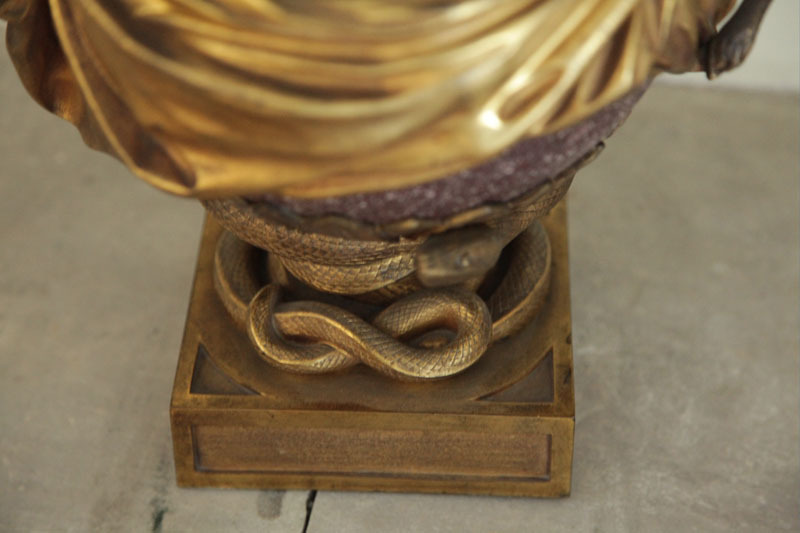 The vases’ bases are wrapped in bodies of intertwined snakes. 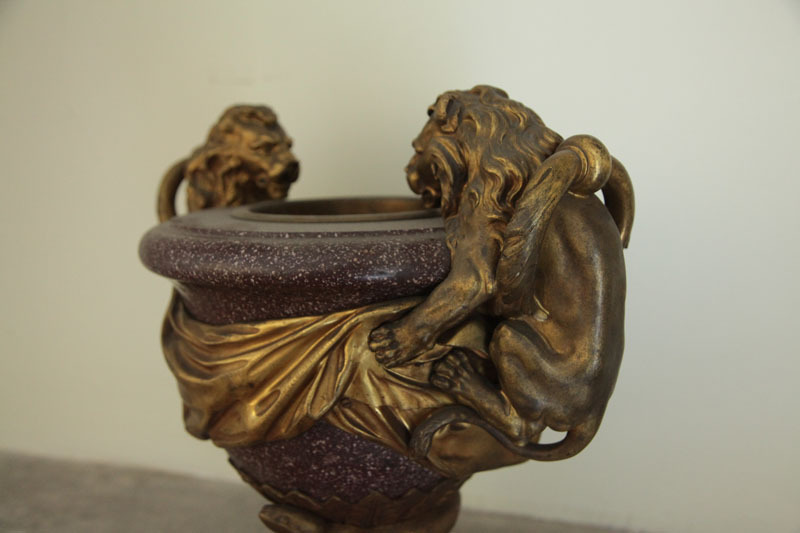 There are three more pairs of such vases in the world. 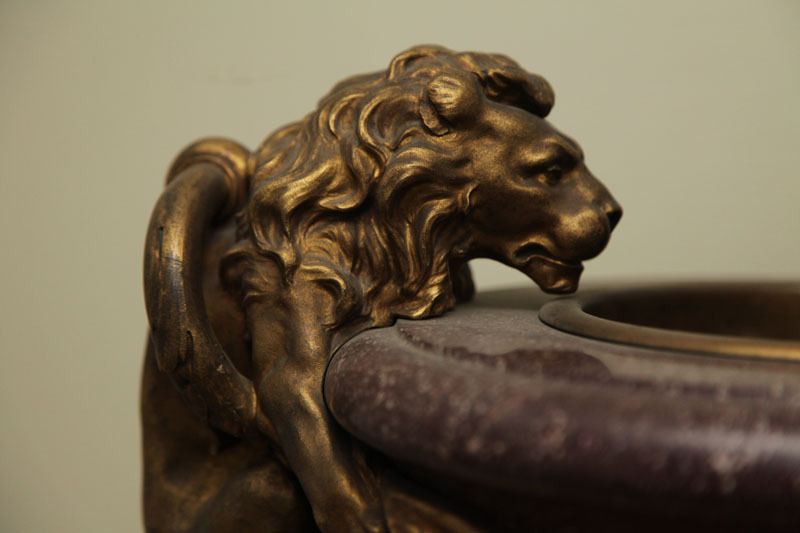 One pair is kept at the Getty Museum in Los Angeles, the other is in the Hilton Hall in England, and the third is in a private collection of a Greek owner. 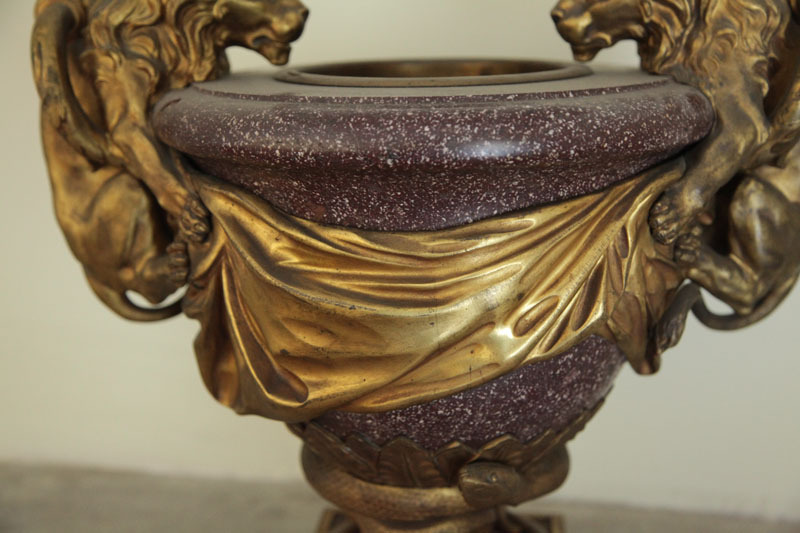 The porphyry vases are one of the most significant works of applied art in both our cultural heritage and in the world. It is known that the architect Petitot worked for the Duke of Parma court. The preserved designs of these vases indicate that they were probably intended for some of the Duke of Parma’s villas, where these vases were supposed to enrich the area. He was one of the most important personalities of the Parma court. He received his first architectural education in Lyon in the studio of Jacques Soufflot. For several months, he followed lectures at the Paris Academy of Architecture, where he received a prize in 1745. He met with prominent European artists of the mid-18th century. He spent some time in Rome by copying and studying ancient art, which was essential for his artistic development. Several projects made for Paris aristocrats were a recommendation by the Duke of Parma for acquaintance with the first man of the Parma court, Guillaume du Tillot. 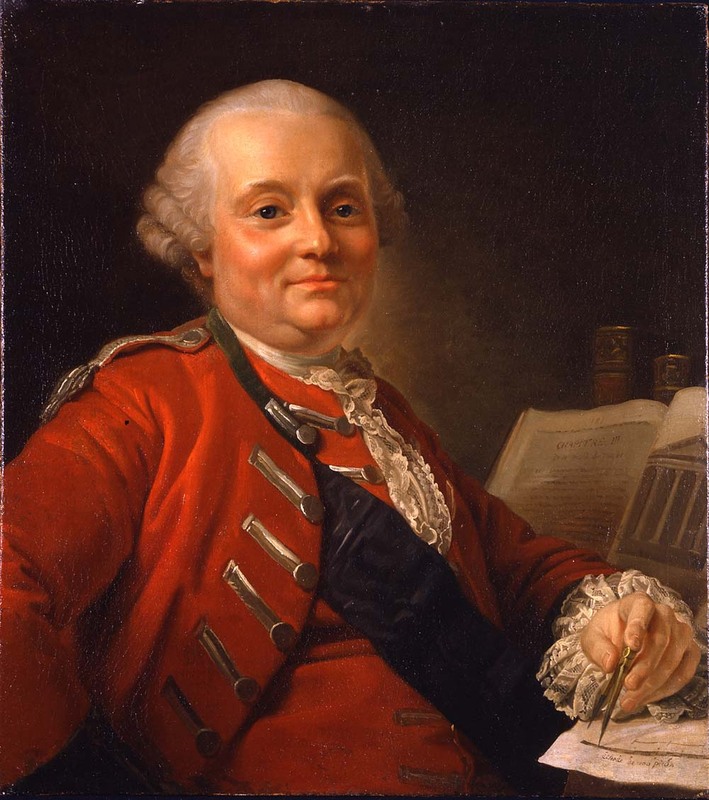 In 1753 Petitot became the court architect. In Parma he worked on the arrangement of the park, the reorganization of the Duke’s apartments and the design of the chapel in Colorno. He left an extremely large number of interior decoration drawings.